MELBOURNE, Florida -- The Brevard County Sheriff’s Office has arrested a 17-year-old Melbourne teen and charged him with felony animal cruelty and discharge of a weapon in a residential area after an animal rights organization known as CAUSES posted what is allegedly a copy of a Facebook video depicting the teen shooting a caged raccoon followed by a caged opossum. The teen is currently being held at the Brevard County Juvenile Detention Center. This isn't the first time Florida animal videos posted on social media videos have drawn the attention of law enforcement. In May, the Florida Fish and Wildlife Commission opened an investigation after video of a man cannon balling on a manatee in Cocoa Beach, Florida surfaced on Facebook. In another incident, a Fort Pierce, Florida man was arrested for allegedly harassing or disturbing a manatee calf in Taylor Creek in St. Lucie County back in in January after photos of him hugging the sea cow were posted on Facebook. Anyone with information about this incident is asked to call CRIMELINE at 1-800-423- TIPS (8477). All calls to CRIMELINE are confidential, and callers can remain anonymous and are eligible for a reward for information leading to an arrest. 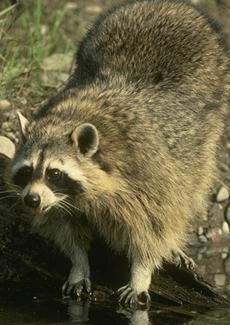 What Can Brevard County Residents Do When They Have A Nuisance Raccoon? Well, if you were planning on buying or renting a trap, then releasing the animal somewhere else - think again. "if the raccoon is trapped, it must either be released on the same piece of property where it was captured, or it must be humanely destroyed. It is unlawful to relocate nuisance-wildlife in Florida. Relocating wildlife is seldom biologically sound, and the animal often does not survive." The FWC does say, however, that "it is lawful for landowners to humanely destroy or live-trap nuisance raccoons without a permit from the FWC."